It is great to hear when pie sellers such as butchers and bakeries celebrate important milestones, like the recent 60th anniversary of Dicksons family butchers last year. It is a sign of great quality that a local company – in this case from a family of pie makers – is still going strong so many years after founding, and now even has an online pie shop! With the recent upsurge in artisan pie makers, it is good to see that there are also the old hands still banging out good quality pie produce week in, week out. 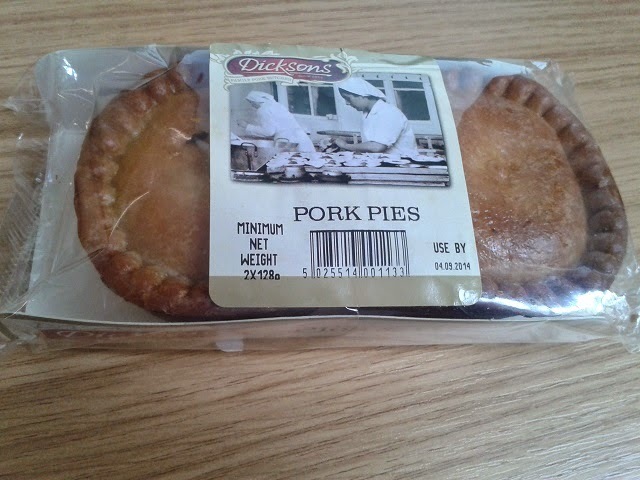 So having celebrated their 60th birthday last year in 2013, we wanted to give Dicksons pies a rating. We were sent 6 pies – a double pack of Steak pies, Minced Beef and Onion pies and Pork pies. They were very nicely packaged, immediately catching your eye as being a traditional product with a great wealth of history to the company. Surprisingly though, there was no indication of any cooking instructions, which I think most general members of the pie eating public would find a little strange. Fortunately, being the piefessionals that we are, we heated the Steak and Minced Beef and Onion pies for about 20 minutes in the oven at Gas Mark 6, by which point the pastry started getting all crisp and golden. We ate the Pork Pies cold. So how did the pies rate? Steak pies with a luscious meaty gravy are traditionally my personal favourite when it comes to pies, so I was expecting good things from the Dicksons steak pie. 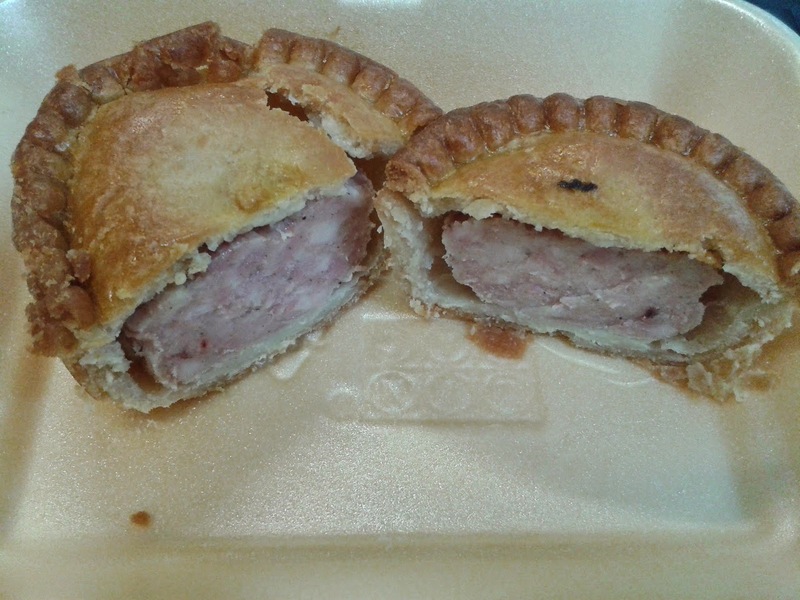 Arriving in decent condition, when it came to cutting through the pastry shell there was a reasonable moisture to the pie innards, though unfortunately the content of the pie lacked a reasonable gravy to really complement the meaty taste and was a bit too seasoned for me. There was a bit of gristly meat, which was disappointing, but in general the meat was of a reasonable standard. Unfortunately when looking for piefection, top quality tender meat is a given. With a bit more gravy to moisten the filling, this would have been a nicer filling and stronger scoring pie. The pastry was crisp and flaky, getting quite golden through the cooking process. It did taste a little dry in patches and I don’t think I would have wanted to eat all the pastry of two pies in a row. Also the filling to pastry ratio for this size of pie wasn’t quite right, being a bit too pastry heavy, but I did enjoy eating these steak pies (gristle aside). 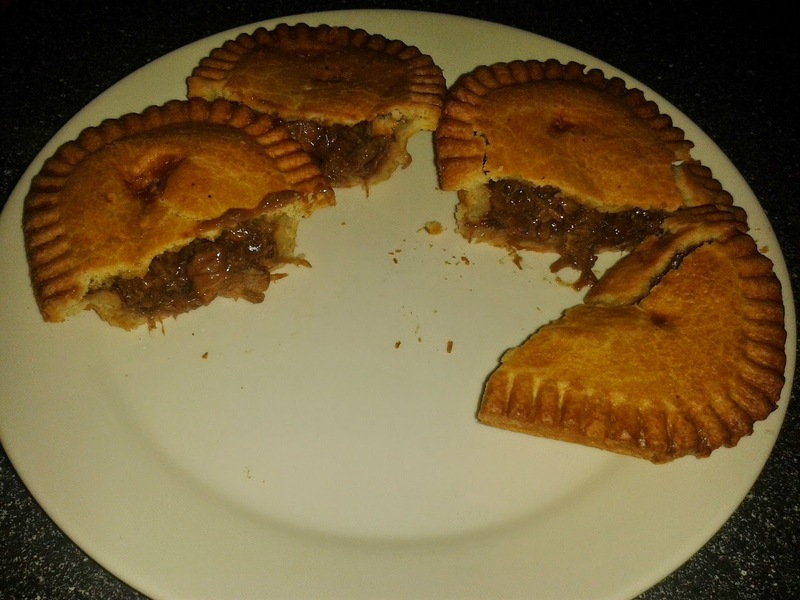 Often a minced beef pie can suffer from having a minced meat filling that doesn’t quite hit the spot as much as tender chunks of steak (or other meat). It can have the negative stereotype of being a lesser pie as a result, possibly even the poor man’s pie. 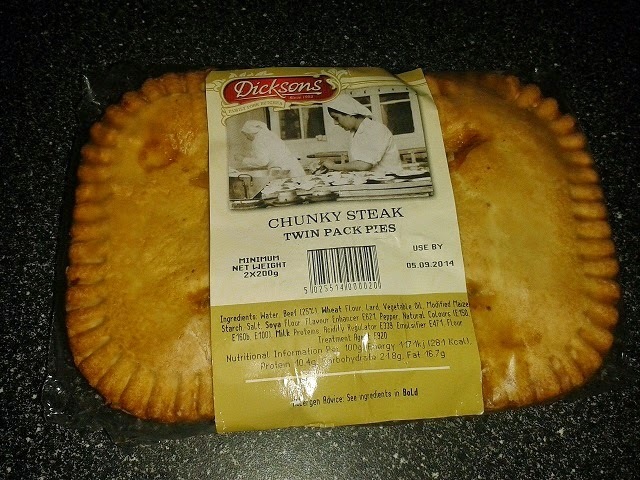 Which is why I was so delighted that Dicksons have clearly used a quality mincemeat in their pie and developed a very nice sauce to make this Minced Beef and Onion pie really stand out. It really reminded me of a delicious minced meat pie that a friend of mine (with many years of plate pie making experience) had made me just a few months earlier. The meat was lovely and tender, flavoursome and leaving me wanting more. The pastry was again crisp and flaky, occasionally a little dry but on the whole balance well with the moist filling. 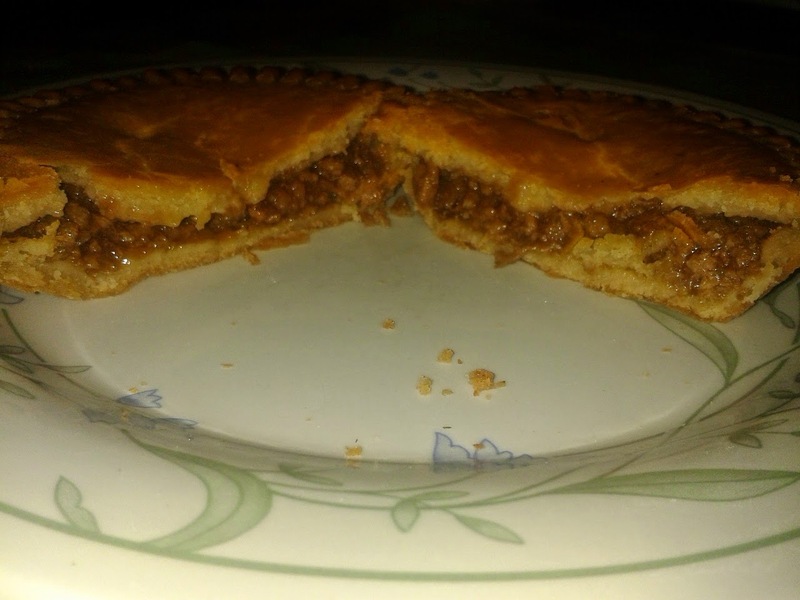 The filling to pastry ratio could again have been slightly improved ideally, as it was a rather shallow pie, but on the whole this really did stand out as a top mincemeat based pie. And at just £1.89 for 2 pies, this is a bargain! It’s not often I would rate a mincemeat pie higher than a steak pie, but in this instance I have to give it to the Minced Beef and Onion Dicksons pie! The pork pies were quite reasonable as pork pies go, with nice meat but a bit lacking in filling. There was a clear air gap between the filling and pastry, with no jelly. The pastry was fine, though it wasn’t very crisp and didn’t really blow me away. They weren’t that big either, but it was a reasonable pork pie, even though with such a great gourmet pork pie market out there I wouldn’t rush out to buy another. With pies being produced for over 60 years and a real heart of the business being family run, it’s great to see that the north-east are being well looked after. Here’s hoping they are still producing Pierate Recommended pies in another 60 years! Should you be going to get a Bowen? The Ark pies went in two by two, hurrah, hurrah! Paul's Pies Now Sold in ASDA!